Yesterday was one of those great days to photograph my work…. the sky was overcase, and the light was just perfect. I am learning to adjust to my Cannon point and shoot digital… As some will know last fall my beloved Nikon took a plunge to a concrete sidewalk, and never recovered. I loved my nikon, probably because i had figured out the settings to get what i needed for capturing images. But my red and shiney canon powershot a3300 is my new camera in my toolbox…. and i am learning to adjust. 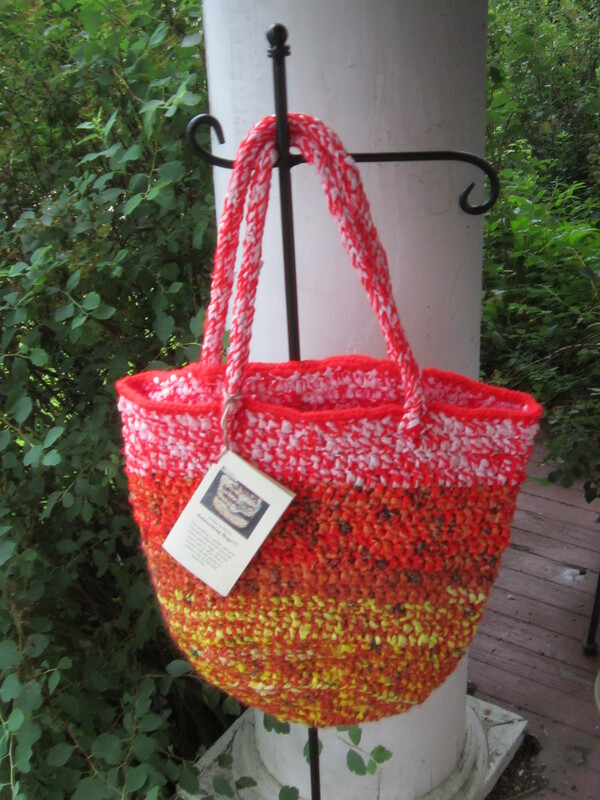 This is one of my “reblooming bags” which is a blend of yarn and plarn. 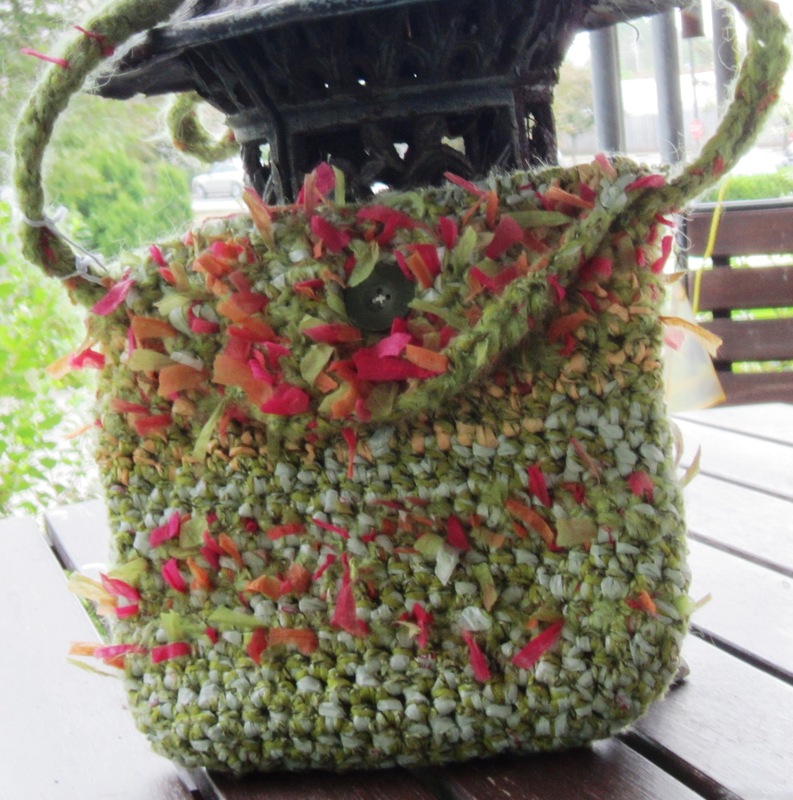 And an Urban Mini REblooming Bag… the table added those interesting lines. I wanted to find something to prop the bag up, so an old japanese garden lantern worked well. I was hoping to photograph my silk today, but it is too sunny, and the silk gives a light bounce that makes the pictures look distorted when the sun is high in the sky. so stay tuned.